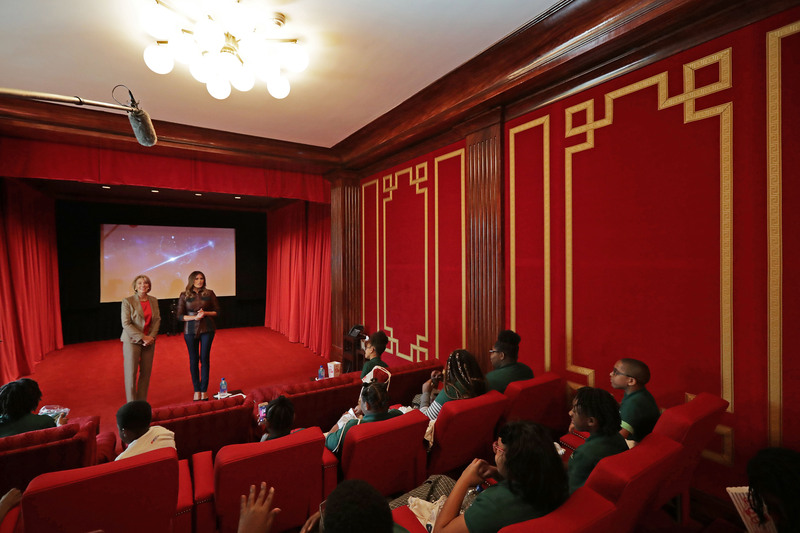 The First Lady welcomed 30 local sixth grade students to the White House theater Tuesday in honor of National Bullying Prevention month. 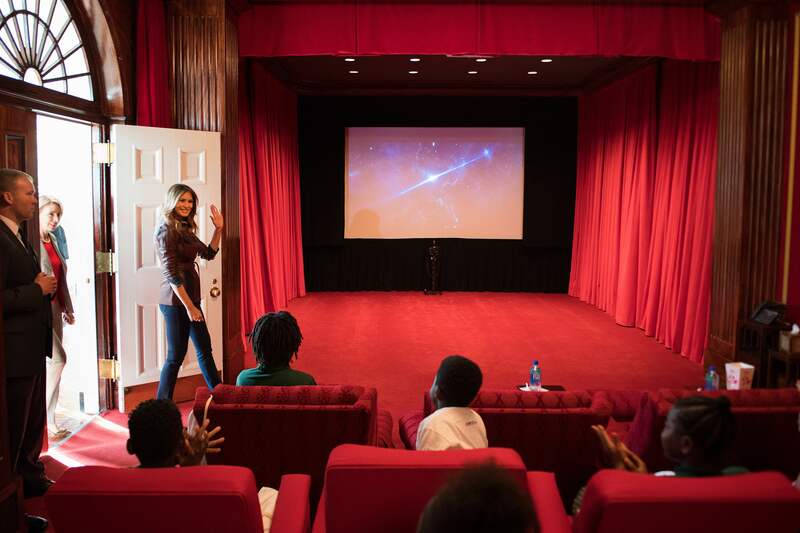 The students sat for a screening of the movie “Wonder,” which encourages students to choose kindness in their interactions. “Wonder” is about a student with a facial deformity, who is constantly bullied. It stars famous actors and actresses Owen Wilson, Julia Roberts and Jacob Tremblay. 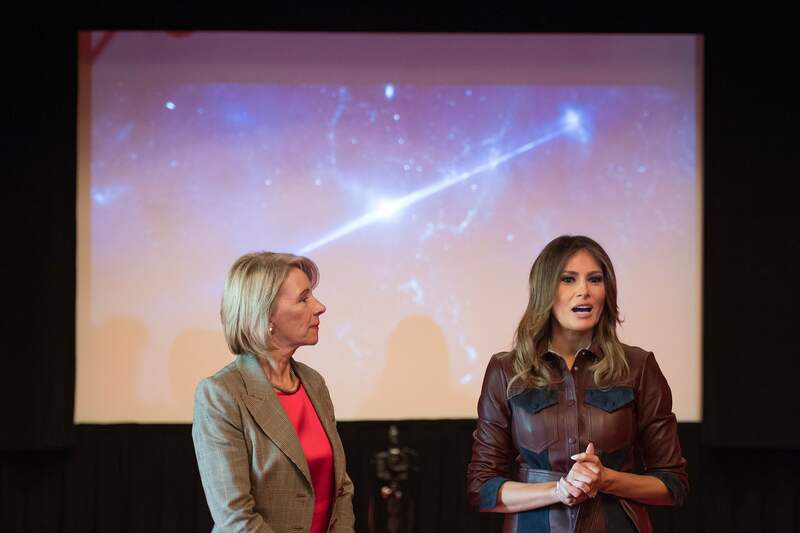 The anti-bullying message is the core of Mrs. Trump’s “Be Best” campaign – the national program launched by the first lady earlier in the year. Melania then thanked the students for attending and asked them to practice kindness. “As you may know, October is National Bullying Prevention Month and I encourage everybody to be kind to each other, to treat each other with respect in everyday life and social media. Can you do that? Yes? Very good,” Melania said. 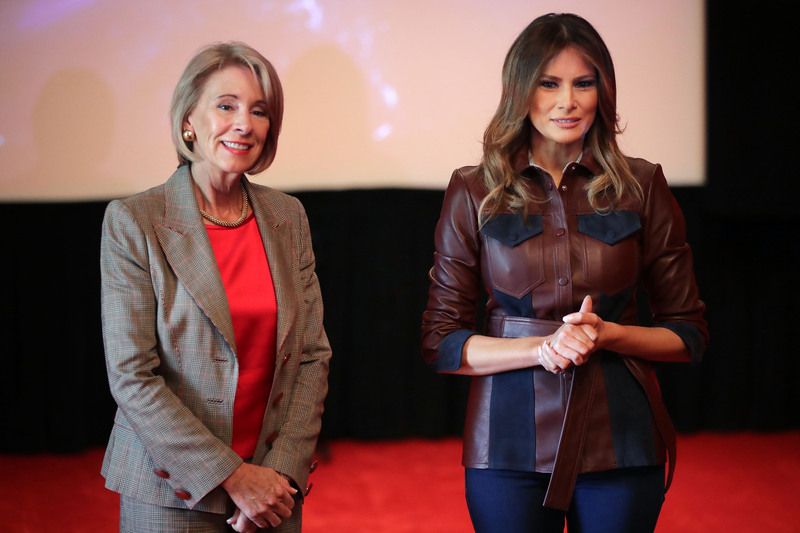 Secretary of Education Betsy DeVos also attended the screening.